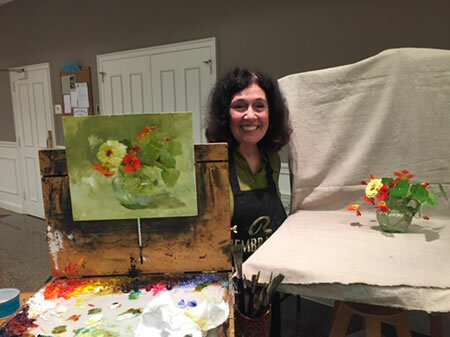 The aim of the Watertown Art League, Inc, a non-profit organization, is to supplement the cultural life in our area by creating artistic activity and appreciation. New Morning Market in Woodbury is sponsoring an art show and sale of Watertown Art League's members work in their Cafe Gallery in the market, for the months of April and May. A variety of award winning art in all sizes and mediums will be for sale and viewing. New Morning would like customers to be aware of the Art League and what it provides for the community, as well as beautifying their cafe with local art and building a community partnership with this local organization. The work will be for sale and information about The Art League and what it provides to the area will be available. The membership is open to everyone and all meetings, demonstrations and shows are open and free to the public. The Watertown Art League (over 50 years old) is grateful to New Morning for supporting us. The Watertown Art League acknowledges and thanks the Thomaston Savings Bank Foundation for their continued support of our annual Juried Art Show.